Do you have a gap in your smile? Or do you have a tooth that is cracked, broken, chipped, discolored or misshapen? Do you have a tooth that has so much dental work already that there is a concern that it may break or become decayed? If this is the case, you may want to think about getting a tooth crown or dental crowns at our Sugar House dentist office in Salt Lake City! 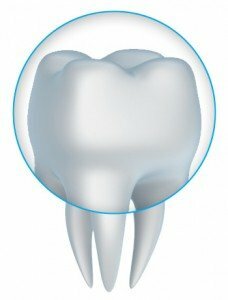 What is a tooth crown or dental crowns? A tooth crown or dental crowns can restore your damaged tooth so it can be sturdy, long-lasting and durable. A tooth crown or dental crowns can be a cap for teeth that have been worn down and could become broken or decayed. If you have had so much dental work that there is a possibility that your tooth could crack or become decayed, a tooth crown or dental crowns as a cap for teeth can restore your smile so your tooth or teeth are no longer at risk. A custom made tooth crown or dental crowns look just like natural teeth and are color matched to your original teeth, so laugh and smile with confidence. A gap or gaps in your smile can cause your cheeks get a sunken in look. A tooth crown or dental crowns as a cap for teeth can make your mouth look and feel full and complete again. A tooth crown or dental crowns are placed on top of dental implants, to complete the dental implant procedure. To secure dentures, partial dentures or a dental bridge, dental crowns provide a sturdy, attractive and long-lasting anchor to this dental work. Because a tooth crown or dental crowns are so similar to your natural teeth, you can chew and eat like normal. If you are looking to restore your smile to its natural beauty with a long-lasting, durable, attractive solution, call us in Sugar House today to learn more about our cap for teeth dental crowns! We offer our beautiful crowns to patients all over the Salt Lake City area, from Sugar House to Millcreek UT!